Did I hear this correctly? Is Facebook moving into the gambling industry? Apparently so. They are going to launch their first application where users can actually bet and win real money. Launching first in the UK, Today users over the age of 18 will be able to play online bingo and slots to win cash prizes. I was wondering when and how Facebook would start bringing in more money to their business. This is definitely a good way to do it. But why are they only launching in the UK? According to a spokesperson gambling is very popular in the UK and it is well-regulated. Facebook, the social media giant with over 900 Million users, has been struggling trying to assuage investors’ fears about the future of their company, what with the stock price hanging on to around US$20, and their attempt to enter into the mobile industry. This news might bring some light to their current situation. Facebook is not actually building an application as it never is directly involved in the creation of a new app. However, they have allowed Gamesys, a UK game app developer for many games (eight in total) such as Jackpotjoy Slots, Wonderland, Barnyard Bonanza, to allow the game Bingo & Slots Friendzy on their social media site using real cash instead of Facebook credits. With this new development they are going to test the success of this app and foresee how the future would pan out if they provide more games like these. Entry into the gambling world maybe a tricky one for Facebook as they are all over the world, yet gambling rules vary from country to country. The United States for example is very strict on gambling. Another issue I feel Facebook needs to truly have in check is the age limit. How are they going to enforce that only individuals over 18 are gambling? It is stated that Gamesys is implementing numerous measures to ensure only those allowed to view the app will be able to use it. For example, users have to verify their age as well as their location on their account before they can use the app. Facebook is also stating that they have an age-gating technology that will block any activity related to the game (i.e. ads, timelines, searches). This is new territory for Social Media in general to implement a gambling aspect to their business model. For me I think this new venture can go either way. A lot of trust is dependent on different parties and a lot of lobbying to get this feature global. I’d love to hear your thoughts on the matter. Do you think this is a match made in heaven…or..? security. If that isn’t bad enough Apple is refusing to comment. When Apple released their iCloud service it was big plus for consumers as it allowed them to access files from anywhere and on any device. 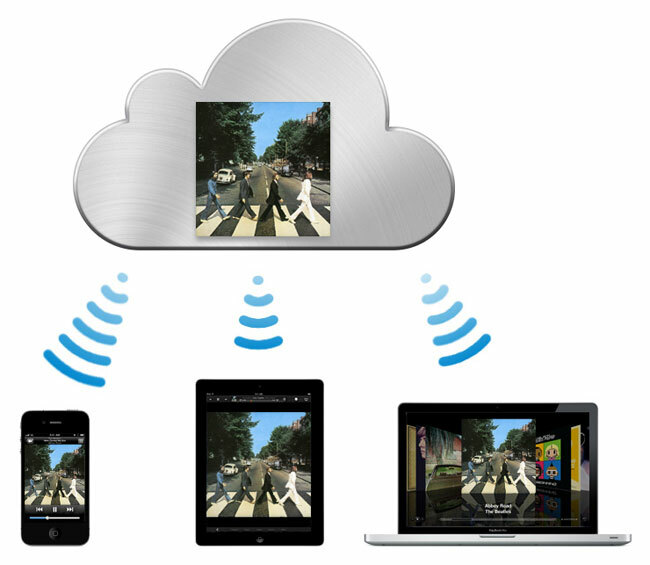 In addition there is a software called Find my (Apple device) whether it is an iPhone, iPad, mac using the iCloud features. How this works is that if your device has ever been stolen you can go on the web and locate it on a map. In addition, you can remotely wipe all the data off the device. However, that also means that since your files are not stored on any hardware it can be easily accessed by hackers. This is where the flaw in their security comes in. It is reported that owners of a second-hand Apple device can still be tracked by the original owner who can wipe all of your data remotely for example. In addition, they can access all your accounts like iMessage. Even if you erase all the data from your Apple device and remove the iCloud account when you are disconnected from the internet, the link from your device to the Apple servers will not be removed. As such, when a new owner logs in using their Apple ID and turns on iCloud the previous owner can still track the device without knowing the Apple ID details of the new owner. It should be explained that Apple instructs people on how to correctly remove iCloud but it is buried in the support pages and it is a bit confusing. This issue relates to second-hand devices. It should be noted that you should deactivate everything while connected to the internet to ensure proper deletion of your link before selling. However, a new incident reveals that hackers can actually bypass your security and without using your password can access your information on the cloud and delete everything. This is what happened to a Mat Hornan, a reporter at Gizmodo. All of his information on his Mac, iPhone and even Google account was deleted by a hacker from the cloud. Apple has still yet to comment on this and it begs the question for all users on the cloud. Is it really safe? Steve Wozniak, co-founder of Apple, is apparently not keen on the cloud, stating that with the Cloud you have no control, stating that you hand over your ownership rights to someone else. And if this weekend’s incidient isn’t a concrete example of how the cloud can be bad news, I think we should really consider how safe our information is stored up somewhere in the cloud. When users search Google they are looking for the best content for their search. As such, the better your content for the user, the better your rating will be. The best thing to do is keep your content current and fresh. A blog is a good way to keep your visitors informed as well as keep content fresh. Before the Penguin update websites were making content solely for the crawlers (Google bots that search your website for content quality) and not for the user. Thus they were able to get high rankings but were not user-friendly. Now, Google penalizes websites that try to boost their ranking through fake content.Good things to write about would be any news in your industry, your business, trends, special promotions, polls and answers to frequently asked questions. Including your business in free local directories such as Yelp and Google Places which contain reviews on a business is really good for building your reputation and SEO ranking. The more directories you can get listed on the better, especially if you can get reviews (and good ones at that). It is good to maximize those directories by putting as much information as possible, pictures, hours of operation, phone number, website, etc. This, along with the reviews will entice users to visit your business. With these reviews you can adjust your business accordingly. For example if someone complained about bad service, you can be able to correct it and respond to the reviewer. This is another really great way to Boost your SEO is through social media websites like Facebook, LinkedIn, Twitter, Pinterest, YouTube. However just signing up for a social media site is not going to help your SEO, as I mentioned earlier content is king. To really increase your ranking you should be connecting with your audience, building a relationship and by doing that you will attract more people to your website thus improving your ranking. These are just three free ways to boost your SEO. Slowly but surely if you stick with it, no update (whether its Panda, Penguin, or Porcupine) will ever bring your ratings down. Were you one of the many Dropbox users that were under a spam attack? On July 17th Dropbox users started to notice an increase in the level of spam attacking their accounts. It was brought to Dropbox’s attention when users notified the company that they were receiving spam only in their email accounts related to Dropbox, which indicated that the leak had to have come from Dropbox itself. Most of these users came from Europe including Germany, the UK, and the Netherlands. Dropbox was quick to act and notified users that they were bringing in outside experts to investigate. Today, was the first day we received news from the investigation stating that hackers did in fact breach Dropbox. The company is now adding a two-factor authentication and other security features to prevent future problems. What exactly happened? The company via their blog post stated that usernames and passwords were stolen from third-party websites, these were then used to sign in to a “small number of Dropbox accounts.” There was no mention to how much was a small number but the company stated it contacted those users and is helping them protect their accounts. It goes on to further state that a Dropbox employee’s password was stolen which contained project documents with user email addresses. This is what the company believed led to the spam. So what are the changes the user should expect to receive? Two-factor authentication—enabling a unique code in addition to your password when signing in. This should be available in a few weeks. New automated mechanisms to help identify suspicious activity. This will be increased over time. A new page that lets you examine all active logins to your account. This will be helpful so that users know when their account has been accessed. Lastly, requirement to change a password if it has not been changed in a long time. Although Dropbox is heightening its security, users should also create unique passwords and take caution not to reuse the password. That is always an easy way for hackers to steal multiple information from you from different websites. Analysts say that it wouldn’t be surprising if this hack has a ripple effect to multiple websites. For example when the LinkedIn password leaked, if users use the same password and email address for Dropbox it is very likely that those hackers can also access their account. Use a unique password for each website you use. Keep your passwords safe so that you don’t forget what they are. Twitter Users beware of new malware. Warning! If you have seen a tweet about you that and you don’t know who it’s from, don’t click on the link! Security researchers found a new Twitter scam campaign that is attacking the social network stating that they have a photo of the victim. However, there is no photo. Instead, once clicked a Blackhole exploit kit will be installed onto your computer. A Blackhole exploit kit is the newest threat to get hold of your computer to exploit it in any way the executor sees fit. Twitter users have been targeted in the past and will most likely be targeted again in the future. There is a link attached to it which takes you to a .su domain that contains the Blackhole exploit kit which will ultimately be downloaded onto your computer. Please note that even if you do not see these two exact phrases the malware message can change at any time. As such, don’t click on any links from people who you do not know. Instead ask the sender why they sent you that message. 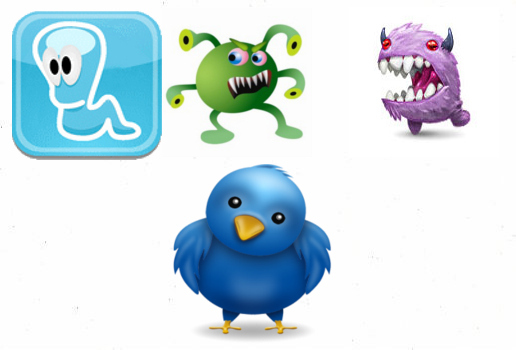 There are thousands of malicious links targeting micro-blogging networks like Twitter. As such if you are a frequent user, and in general, ensure that your PC is protected. It has become easier for attacks to happen quickly and frequently, as Twitter becomes more popular with an increase of twitter followers (over 150 million users) and over 340 million tweets daily. Because of their increased growth Twitter is expanding and improving the functionalities of Twitter to make the user experience more enjoyable. 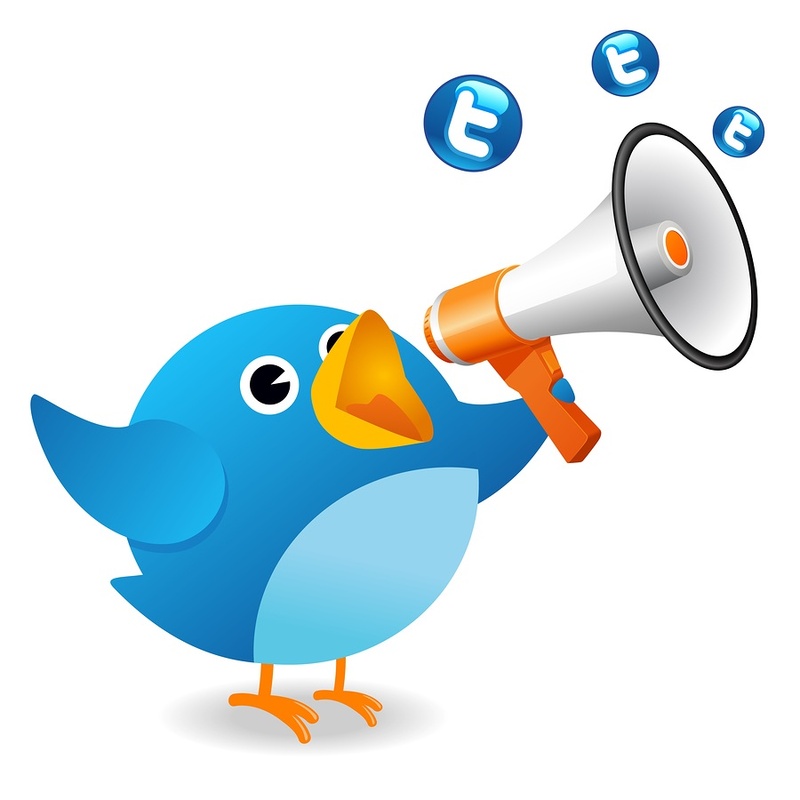 Some new features that Twitter is implementing are the ability to retrieve old tweets. As tweets are only kept to the most recent 1,000 tweets, those past tweets that we want to remember can now be found. Why would Twitter want to do this? For a Twitter user it is pretty compelling as it is like a micro diary from all of your daily tweets. Other new features are an auto-complete function in which Twitter tries to guess what the user is trying to search for resulting in images, videos and other contented posted by other users. Twitter is speedily moving away from that simple interface with the ability to only post 140 characters in 2008. Now with all these new features people are wondering if Twitter is a media or a technology company. Only time will tell. There’s been much buzz around Skype’s recent change to their internal network structure. 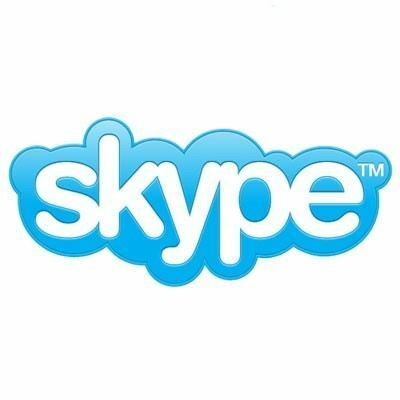 Skype, owned by Microsoft since 2011, has begun routing calls from peer servers to their own supernodes which has left many asking why they’ve done this and what will be the consequences of the move? The Skype system update seems to fly in the face of their peer-to-peer (P2P) system where users connect directly to each other and not through Skype’s servers. What most are worried about is that their calls can be tapped if they pass through Skype supernodes rather than being solely P2P, and it seems like people have good reason to worry, or do they? This whole update has originated from MS, where they’re reorganizing the Skype service to fit in with their future VoIP strategy. It’s very difficult to implement a P2P VoIP service like Skype across a platform, where MS will most likely want to incorporate the service with Xbox, Windows 8, and other platforms in the future. Many believe this isn’t their motivation, but it’s instead to allow law enforcement agencies to have access to any Skype calls they wish. To further support this idea is that MS acquired a patent for legal intercept technology to discreetly copy communications transmitted soon after they purchased Skype. Quite the coincidence I’ve got to say myself. Skype has responded that the “supernodes simply allow users to find one another,” in other words calls don’t pass through their supernodes but are in fact P2P, although they have never provided hard documents or evidence to support this. It sounds like there are theories and weak evidence for both camps, leaving the issue up in the air. The thing is that this update doesn’t change the fact that all activity via the internet can be viewed by anyone that has the right resources and motivation. It should be assumed that as soon as you turn on your computer all activity could be accessed, with Skype being no different even before being taken over by MS. For example, there is a program that exists, very possibly many different versions at this point, that is meant to intercept Skype calls no matter how good the encrypting is. It’s believed that is was Swiss programmer Ruben Unteregger that developed the program back in 2006, where it’s meant to pick up calls on either end of the communication, not en-route. The program may be loaded onto a “victim’s” computer somehow, where it will then copy calls and save them as mp3 files and send them to pre-determined destinations. The program is open-sourced, so that anyone can get their hands on it relatively easily and from there make modifications to it as they choose. This program and programs like it aren’t made to hit larger numbers, but are targeted attacks. So now that we know that Skype calls haven’t been secure for some time now, the question remains as to what MS and Skype’s true intentions are with these modifications that begun a few months ago? Skype has officially neither confirmed nor denied allegations, but have said that “Skype co-operates with law enforcement agencies as much as is legally and technically possible.” This doesn’t seem to say all that much either, although maybe that’s the point, since it would not be the most responsible idea for them to say that their service is in fact 100% secure so to attract criminal or terrorist elements to their service. Personally, I think that MS wants Skype’s service in line with their strategy, although they’re very aware of and welcome the side effects of the move. Leave your comments below as to what are your thoughts about privacy on Skype and their true motivations for the restructuring?